Wanna see a light show this Canada Day weekend? Here's how to catch one of six fireworks displays within HRM. Bedford Days' Kids Extravaganza sees all sorts of family fun take over DeWolf Park, and the evening of face painting, horse drawn carriage rides, Nerf tag and mermaids is capped off with a fireworks show. The fun goes from 7-9pm, and you can call 311 or check @hfxcivicevents on Twitter if misty weather has you questioning if the show will go on. The Village at Dartmouth Crossing is so pumped for the long weekend it gets the party started early with a concert by R&B up-and-comer Keonte Beals that's followed by fireworks. Held at the Pondside Amphitheatre (74 Hector Gate, Dartmouth) from 8-10pm, you can get updates and more info at dartmouthcrossing.com/news-and-events or calling (902) 445-8883. EPIC Dartmouth—the three-day cardio session that sees runners and walkers smash their daily step records—celebrates the end of day one with an equally-epic afterparty featuring The Mellotones (who also boast a headline slot at Jazz Fest this year!) and fireworks. The fun goes down on the Great Lawn of Lake Banook (at the north end of the lake) at 8pm—and you don't have to be an athlete to take part in the sparkling good times. Get more info on EPIC Dartmouth at epiccanadian.ca. 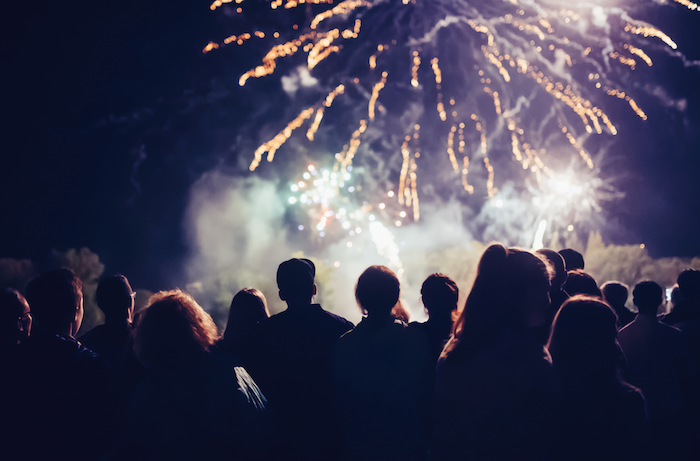 Sackville is a spot to be all week long with the 2018 Patriot Days dishing up lots of family fun, but June 30 sees the good times get even better as a firefighter display and concert in the Kinsmen Park (71 First Lake Drive) is capped off with some fireworks. Rain date is July 2. The Bedford Days Canada Day Celebrations sees the skies at DeWolf Park aglow for the second time this weekend as the Lower Deck Bar & Grill fave Donair Supply provides the tunes. Start time is 10pm, and if the weather looks iffy, you can call 311 for updates or check the @hfxcivicevents Twitter feed. The Official Canada Day Fireworks cap it all off at 10pm, after the free concert featuring Allan Rayman and Mo Kenney wraps at Alderney Landing. The city says the best viewing spots are at Alderney Landing or Ferry Terminal Park, so pack a lawn chair and plan accordingly—and, yup, hit up 311 or @hfxcivicevents if the weather turns cloudy. After the last firework fades, Skratch Bastid will start spinning tunes at Alderney Landing for all your booty-shaking needs.